If you know me, I love anything Korean-related! 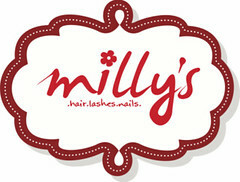 I love their skincare & cosmetics, the country, the Kpop songs & dramas.... and of course not forgetting THE FOOD!!! 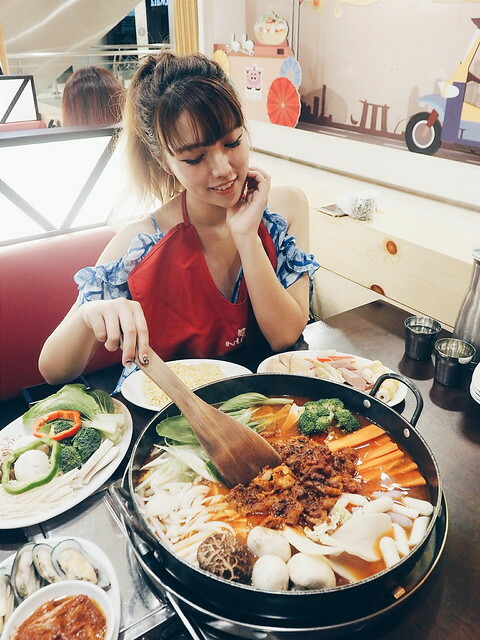 Today I'm going to introduce to you guys 2 Korean food joints that I frequent in Singapore! I honestly don't think Yoogane needs more introduction right!? This is definitely my #MustGo place to satisfy my Chicken Galbi cravings!! It's freakingggg delicious!!!! 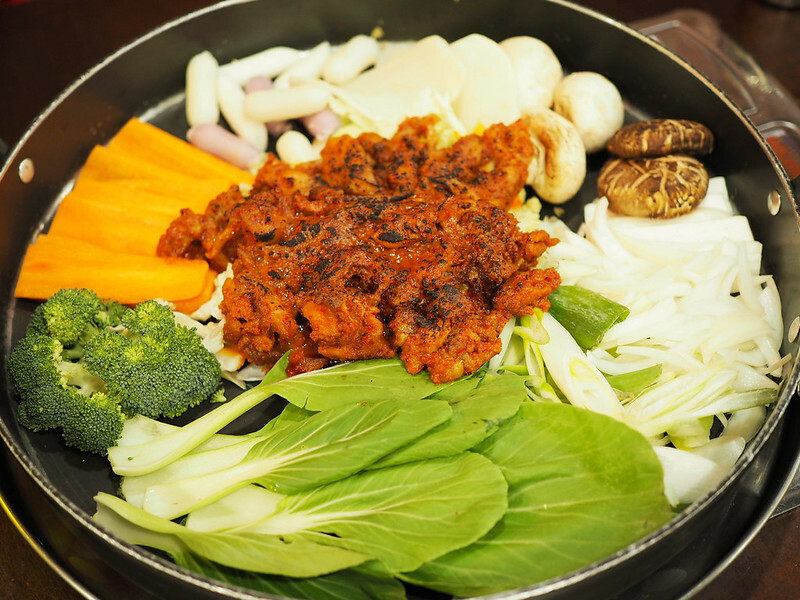 In addition to their few signature dishes, you'll be delighted to know that they have recently introduced a new dish called - GALBI JEONGOL! Of cuz, the main star of the dish is still their Chicken Galbi!!! 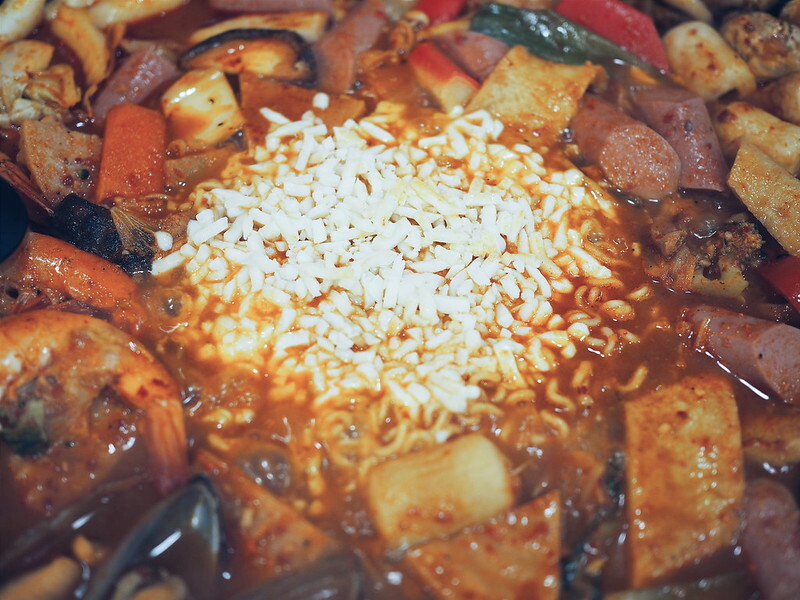 A generous amount of it are nested amongst vegetables, mushrooms and dokbokki! Also, if you'd like more ingredients to be added, there are a few choices such as seafood or the meat add-ons! And what exactly is Galbi Jeongol??? Well, it is actually kinda like a Korean Stew!!! 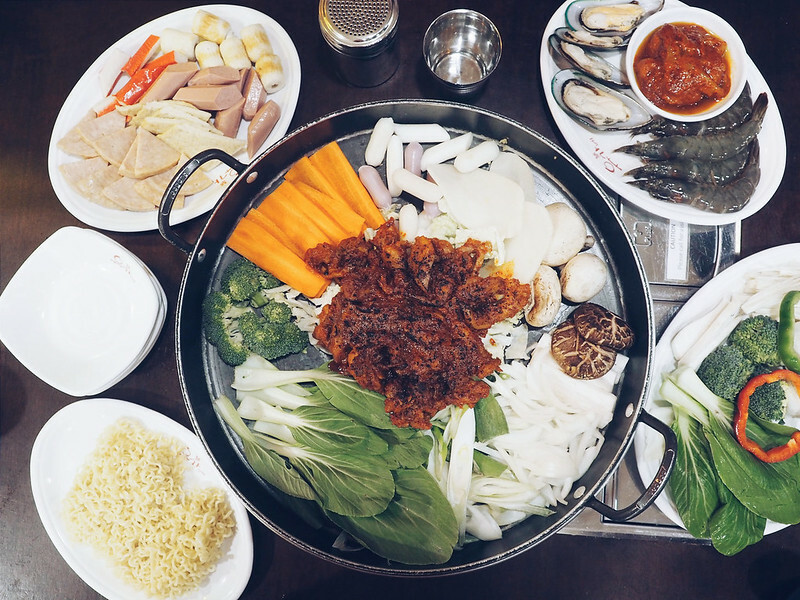 Yesssssss we Singaporeans LOVE steamboat, don't we!?!? 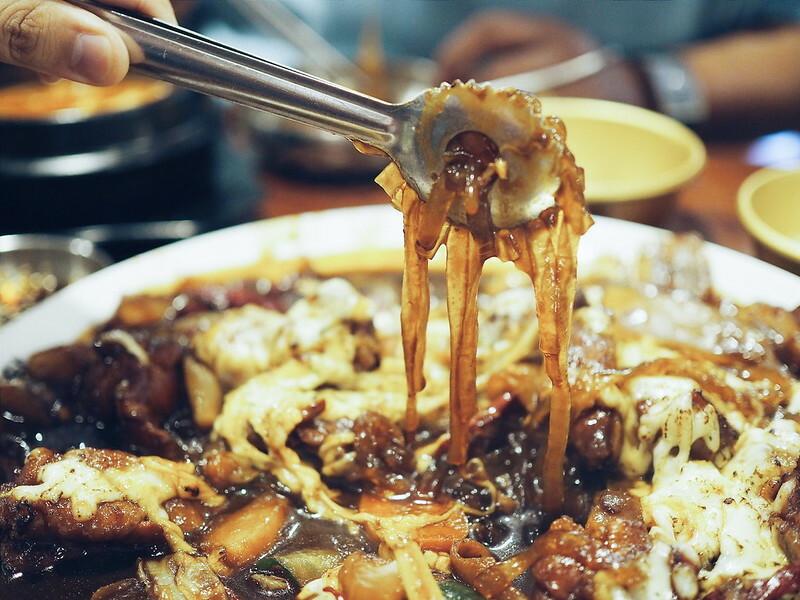 So this Galbi Jeongol is kinda like a fusion of steamboat + korean chicken galbi!! 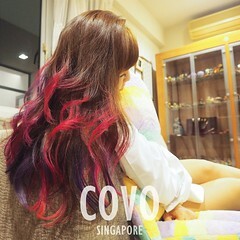 DOES IT SOUNDS MORE AWESOME THISSS!!! 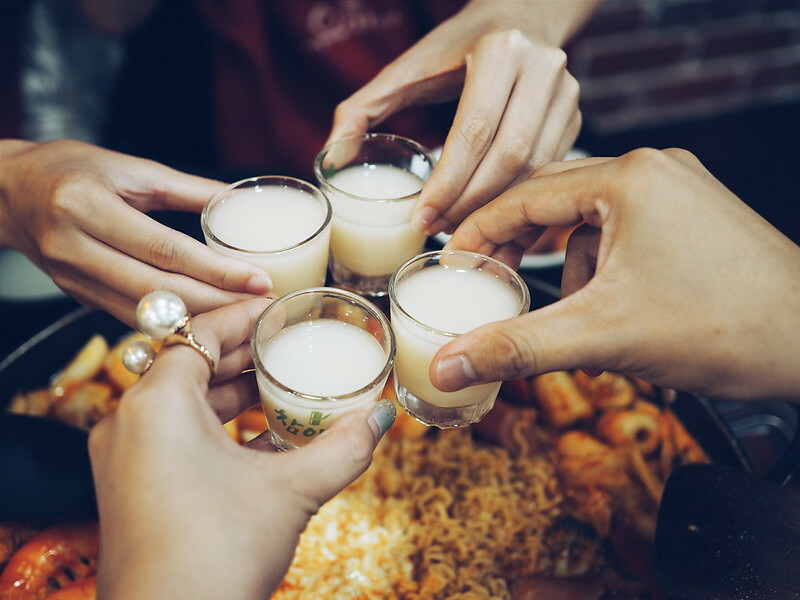 Of cuz, what's korean cusine without some alcohol?? 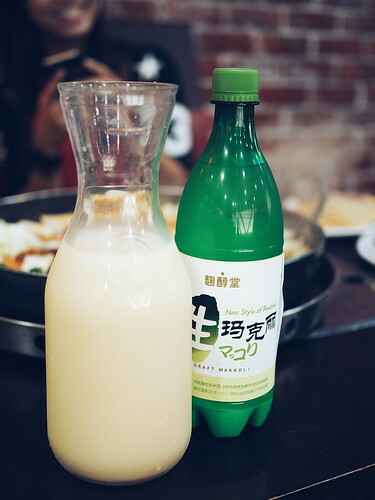 Here's featuring the Yakult Soju & Makgeolli!! And OHHHMYYYGODDDD, here's comes the best part - CHEESEEEEE!!!!! 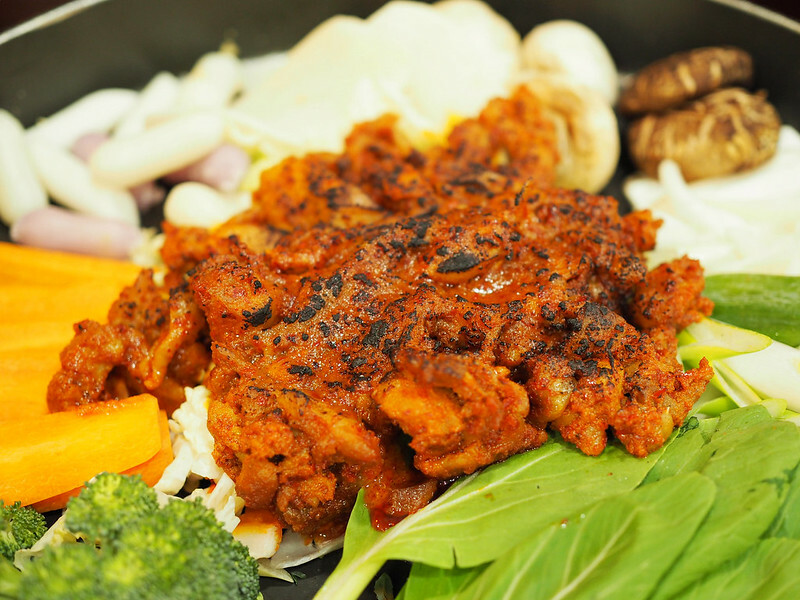 This portion is perfect for 3-4pax! Super yummy!!!!! 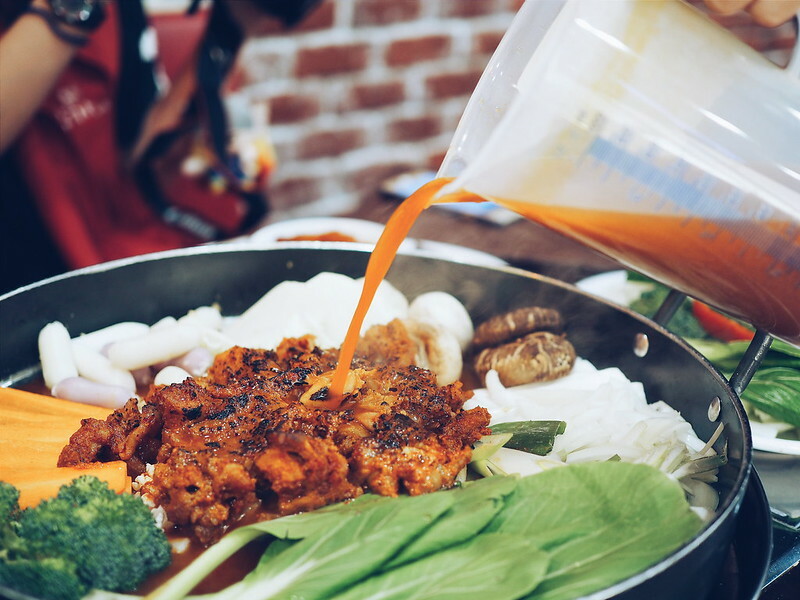 This awesome new dish - Galbi Jeongol is available now for a limited time period (it's a seasonal dish) so do head on down to Yoogane to try it before it's gone forever!! Okay back to Andong Zzimdak.... 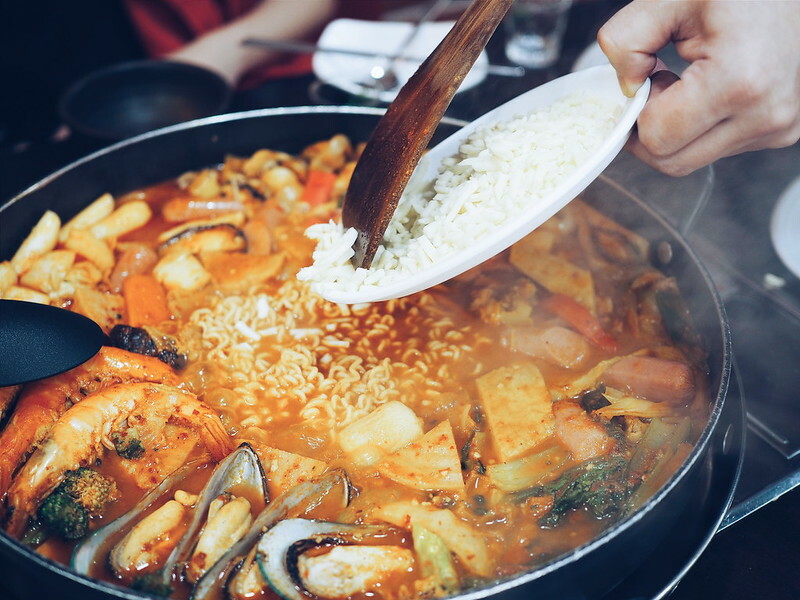 This is one of my favourite Korean food ever!! I ALWAYS have to eat this whenever I am in Seoul so I was soooo happy that it was finally brought in to Singapore!! 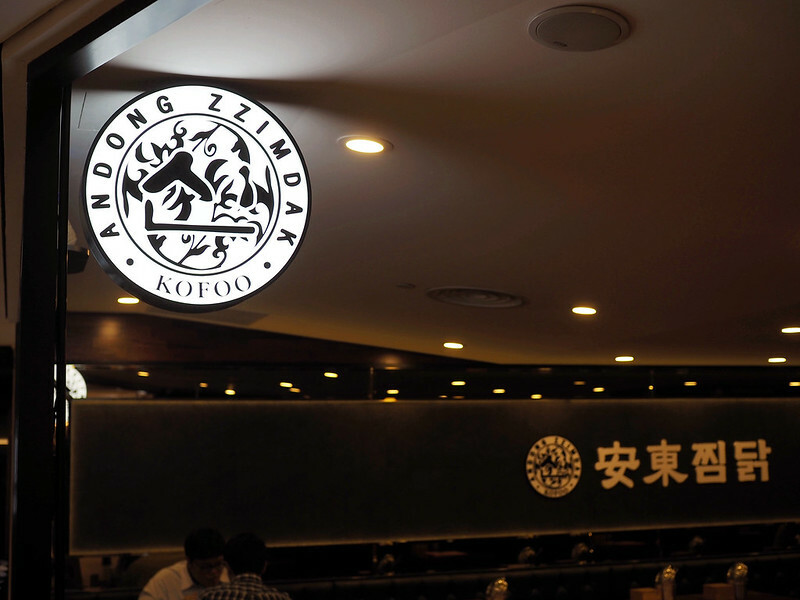 Andong Zzimdak is a popular franchise from Korea established since 2006. 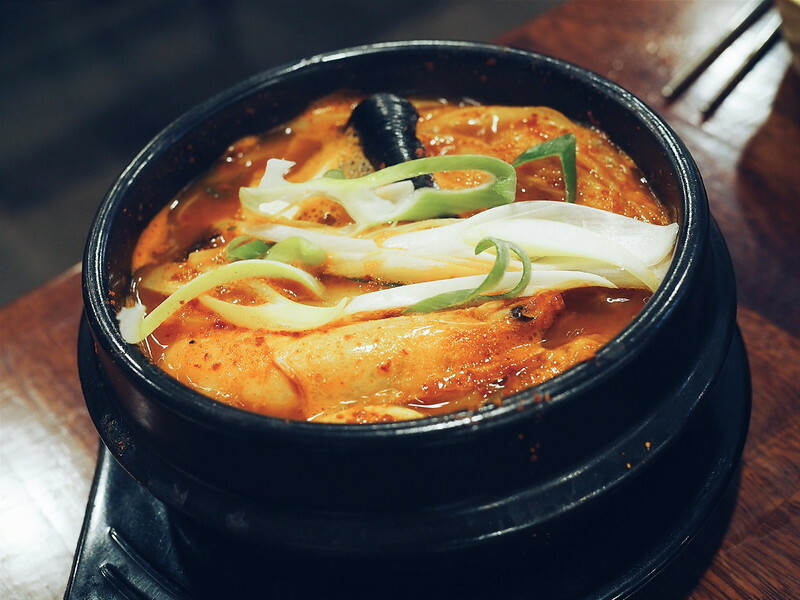 The name, Andong Jjimdak, literally stands for 'steamed chicken of Andong'. 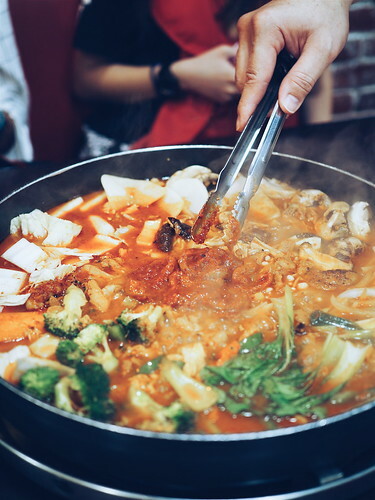 It is a variety of jjim (a Korean steamed or boiled dish), which originated from the city of Andong, Gyeongsangbuk-do Province, and made with chicken, various vegetables marinated in a ganjang (Korean soy sauce) based sauce. 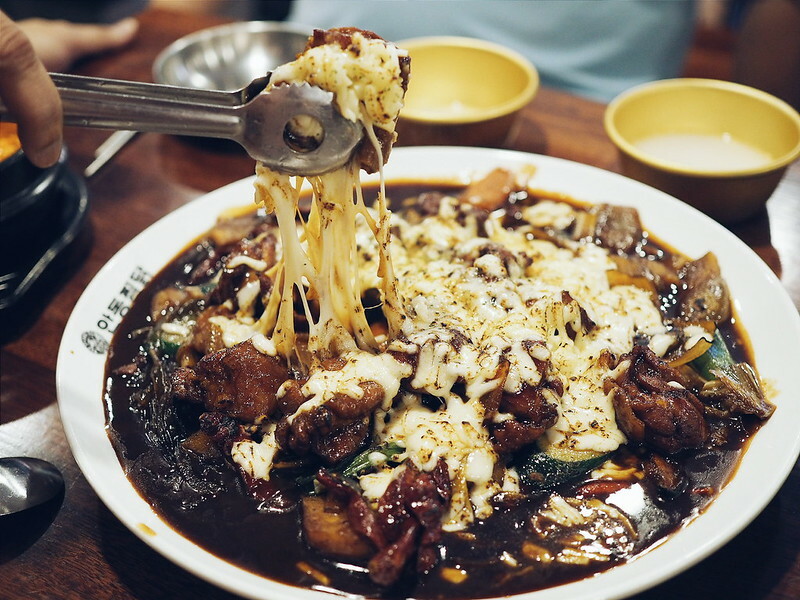 Their signature must-try dishes includes the Andong Jjimdak or Boneless Jjimdak! 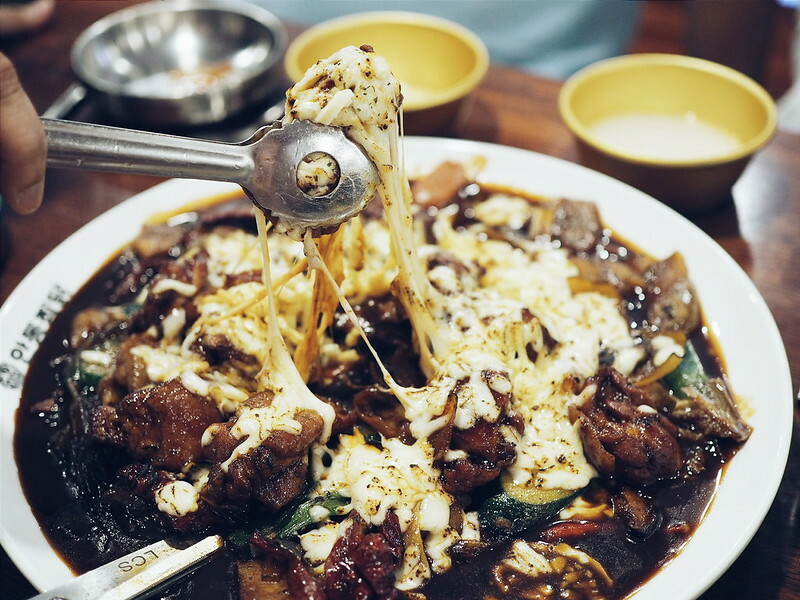 However, similarly as Yoogane, they have recently introduced a new dish called CHEESE (BYOL BYOL) JJIMDAK!! The soy marination is a lil different but still super DAEBAKKKK (very good) nonetheless!!!! & topped off with the cheese...... oohhhhhhh yet another perfect combination!! And whats jjimdak without the korean glass noodles!! Super soft and chewy!! LOVE THE TEXTURE! 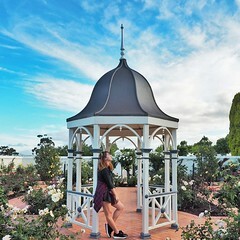 And next!! Looks like a normal steamed egg uh? BUT NO! 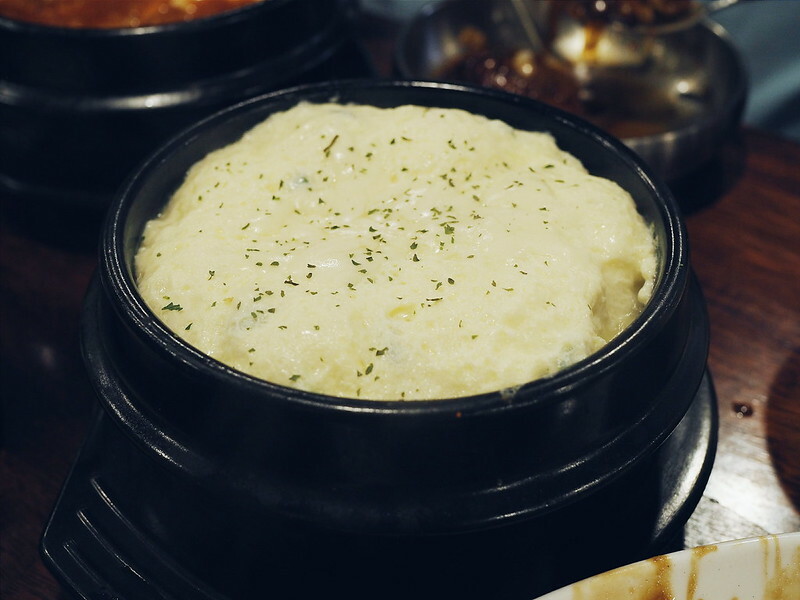 IT'S CHEESE STEAMED EGG OHMYGAWD WHO THOUGHT OF THIS GENIUS IDEA!!!!!!! Didn't know cheese and egg can actually blend so well! It's such a simple dish yet so freakingggg tasty!! 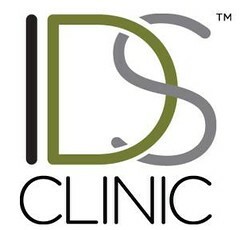 Really good!!! Alrightttt, you can probably guess by now that this is also yet another cheesy dish!! 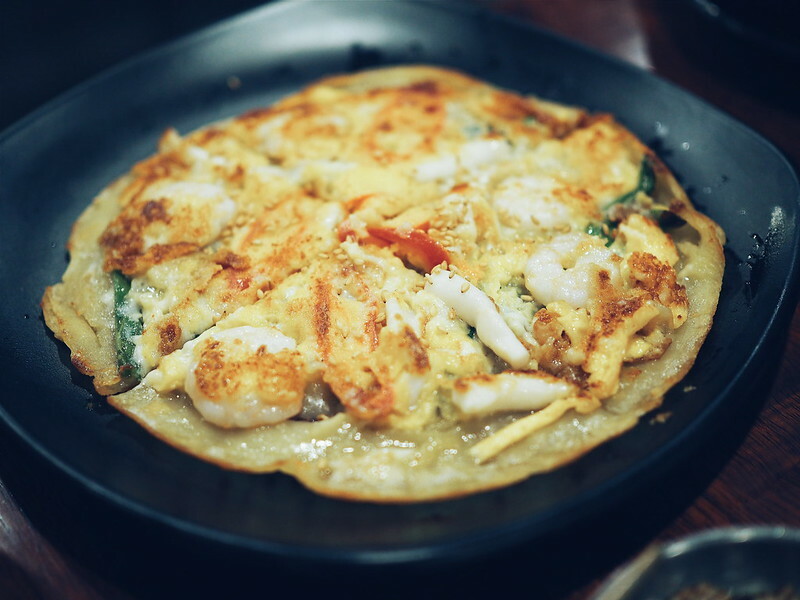 It's the Cheese Seafood Pancake! 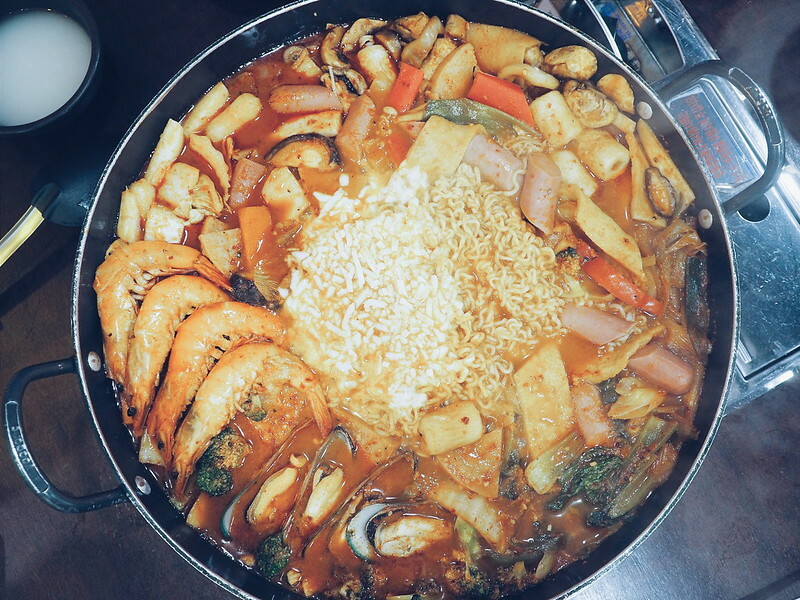 And lastly, one of the new dish I tried that night which won my heart over - SEAFOOD STEW! 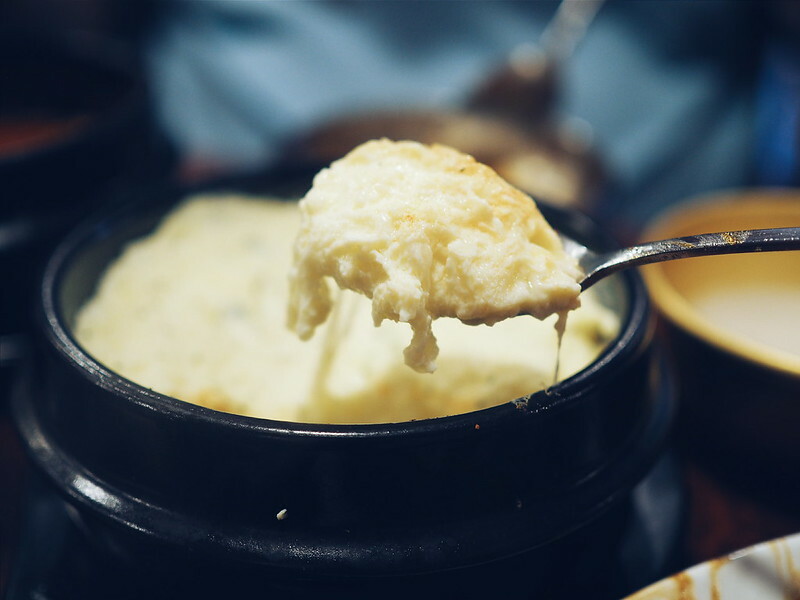 It's definitely a cheesy affair with the new dishes at Andong Zzimdak! Available in stores now!